MOST people have blood running through their veins, but Norman Cooney's heart pumps ink, and it shows. And after tattooing for more than 30 years, and witnessing a lot of bad home-job tattoos, Mr Cooney says he wants to give something back to the community. 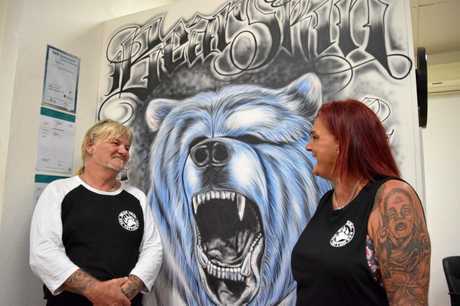 The tattoo artist and owner of Bundaberg's Bear Skin Tattoo has struck up a competition to find the region's "worst" tattoo, and in return is offering a free cover-up of the piece. Mr Cooney says since the entry round of the competition began, his partner and co-worker Catz Leche have received about 40 picture entries. The pair plan to release all the submitted images on the Bear Skin Tattoo Facebook page on May 1. Then it will be up to the public to vote for who will take out the top prize. Ms Leche said while the people will decide on the winner, it will be Mr Cooney who will assess the tattoo and the person and help decide on the new design. 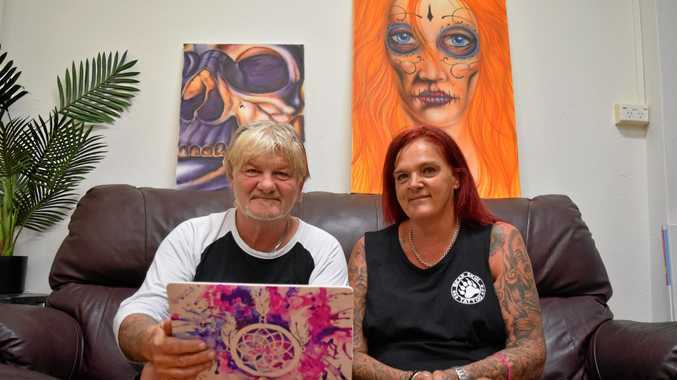 Mr Cooney said after seeing so many home-job tattoos that have gone awry, it was a "kick" to help people have the result they were searching for. "(With) helping people, the reward goes both ways," Mr Cooney said. "People can get something tattooed and think they're stuck with it forever, (and have it lasered off) but its three times more expensive and three times more painful (than a cover-up)." 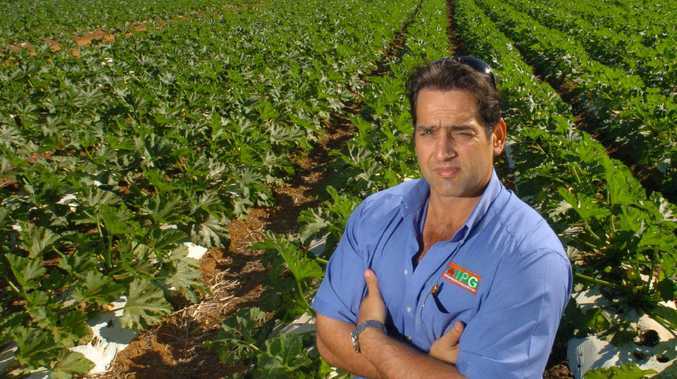 He said Bundaberg was one of the "worst" areas he'd ever seen and worked in when it came to bad home-job tattoos. And he thinks online marketplaces have "a lot to answer for" because of it. "A lot of people come in and ask, 'can you fix it? '," Ms Leche said. 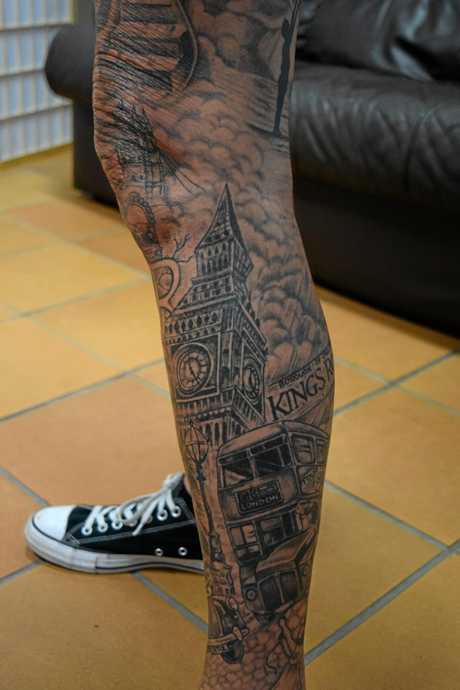 But he thinks it sometimes comes down to money, and says some people were drawn in to the idea of a home-job tattoo only thinking about the cheap price. Mr Cooney said the most important thing was for customers to protect their health. Going to a reputable and qualified tattoo artist helps prevent infections, Hepatitis and other transmittable diseases. "Its not just a style issue, its about the health of the person getting the tattoo," he said. Have a tattoo you want to cover up? Enter the competition by heading to Bear Skin Tattoo's Facebook page at https://bit.ly/2GdF6IU. Don't have Facebook but want to be part of the competition? Head in to Bear Skin Tattoo inside Rounds Arcade at Shop 10, 54 Bourbong St and ask about entering.